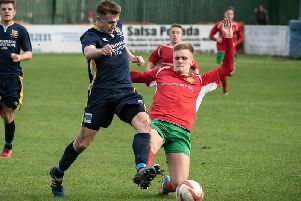 Harrogate Railway manager Craig Ogilvie says his players need to develop a ruthless streak in front of goal. The Starbeck outfit lost out 3-2 on the road at Handsworth Parramore in their most recent NCEL Premier Divison outing, but had more than enough chances to win the game. “We played really well, our second half performance was as good as anything I’ve seen since I’ve been at the club, but we must be more ruthless,” Ogilvie said. “Our finishing cost us on Saturday. We created plenty of opportunities and missed three real sitters. On another day all of those go in. "When we make mistakes at the back, other teams punish us for them. We need to start doing the same. Handsworth moved ahead with just two minutes gone, Ollie Fearon heading home a cross from the left. Jon Froggatt then doubled the hosts’ advantage before the impressive Sam Barker set up Sean Hunter to net his sixth Railway goal of the season. Oscar Radford’s long-range effort restored Handsworth’s two-goal cushion on the stroke of half-time, but the Railwaymen had plenty of opportunities to get themselves back in the game in the second period, Barker and Josh Underwood spurning the clearest of their openings. Substitute Aaron Haswell did manage to convert a last-minute penalty following a foul on Barker, but the strike arrived too little too late to save the visitors. 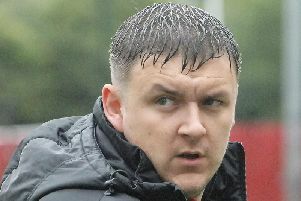 Ogilvie's troops entertain Yorkshire Amateur on Saturday, 3pm kick-off at Station View. "It's another difficult test against one of the better teams in this division, but the Ammers have lost their last two so hopefully we've caught them at a good time," Ogilvie added. "They've conceded a few goals recently but we know they are capable of scoring plenty themselves, so we have to guard against that. "The players are looking forward to the game. There's a good vibe around the club at the moment and we are going into every match with the belief that we can get a result."